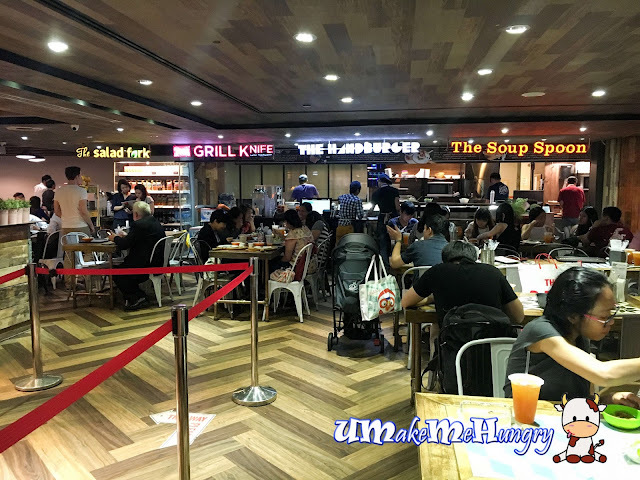 The Handburger is one of the stalls under the concept of Soup Spoon Union located in Raffles City Shopping Centre. The concept is not the usual "Order and Pay later" system in most restaurants, instead they did it the reverse with ordering and payment at the same counter. Once your order is ready, the buzzer will set off and you have to collect your food at the respective counters. 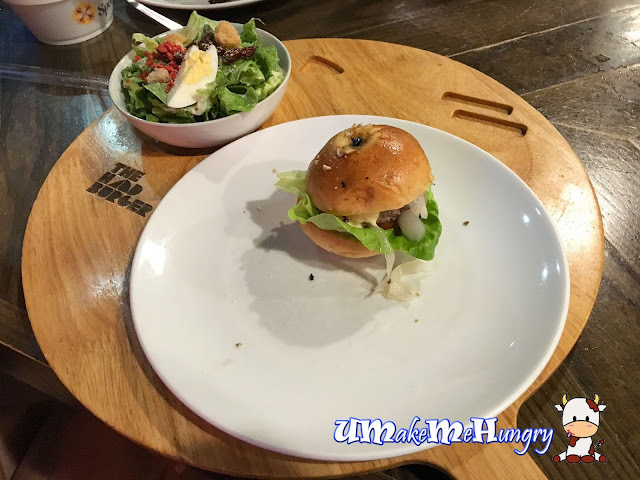 The Handburger practices the healthy living where by the handcrafted burgers includes grilled 100% grass-fed prime beef patties and portobello mushroom sandwiched in wholewheat brioche buns. 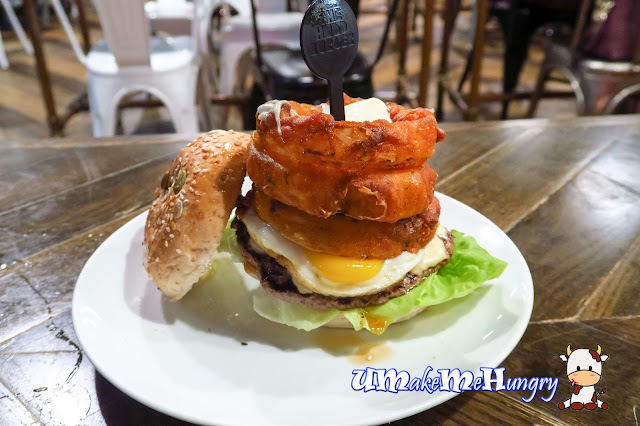 I had The Works containing cheese, mushroom, sunny side up egg, juicy thick cuts of tomatoes, handpicked butterhead lettuce and 100% grass-fed prime beef patty grilled to perfection. Making them a meal gives me an option of drink and choice of sides. 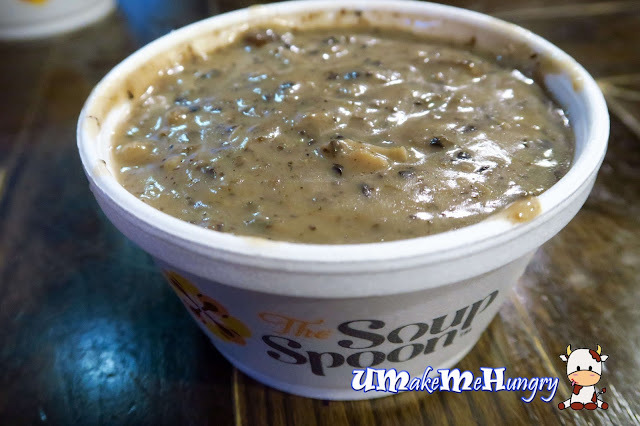 If you knows about Soup Spoon and had tried their soups, this Velvety Mushroom Straganoff should be of no stranger to you. Its stomach filling hot chunky mushroom soups is tastily great item to pair with the meal. The choice of drink was pretty interesting. 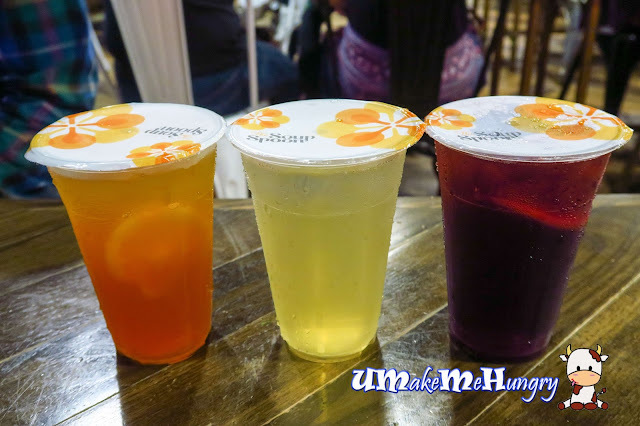 Besides having the home brewed Iced Lemon tea, we have the Hibiscus and Sugar-Free Sakura Sencha. 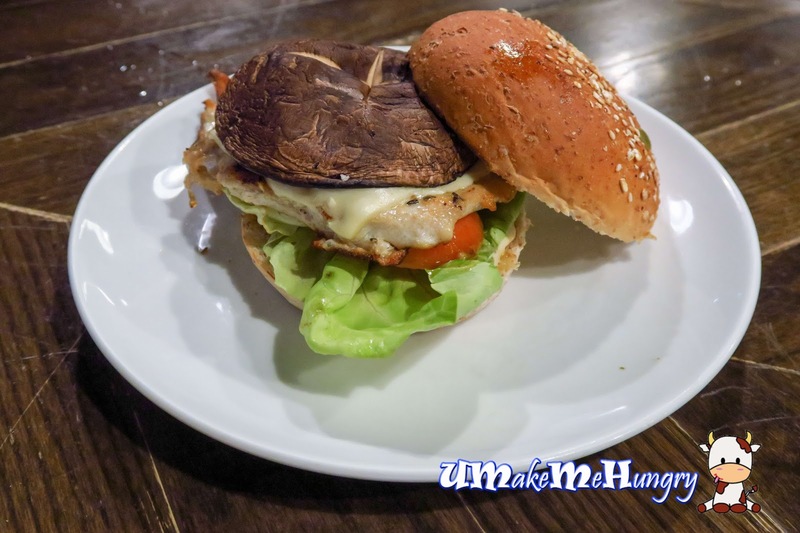 The healthy combination of chicken breast, portobello, cheese and honey mustard for the burger. Though the mushroom looked abit on the dry side, the overall taste was just not too bad. 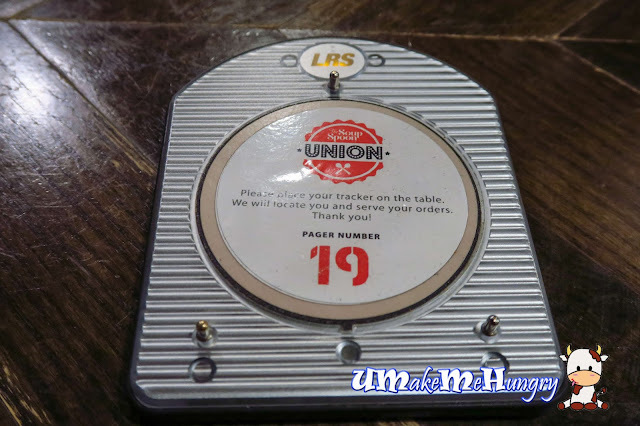 Another interesting item on the menu will be the Union Sampler that gives diner a petite caesar salad and two petitie mains - a soup and slider. The items was served on a wooden serving board that was tailored make to put both the plate and bowl into the sunken slot. 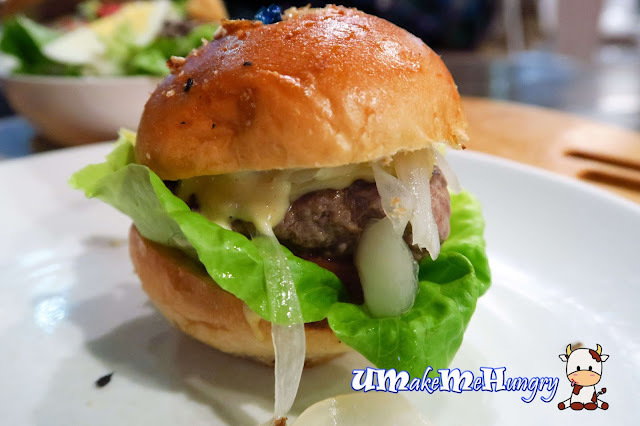 The original Slider was bite size, perhaps a few bites and you could have done with the burger. It consist of beef, cheese, grilled onions and honey mustard. Fresh greens with bacon bits, dried cranberries and croutons and vegetables were dressed lightly in its cream sauce. 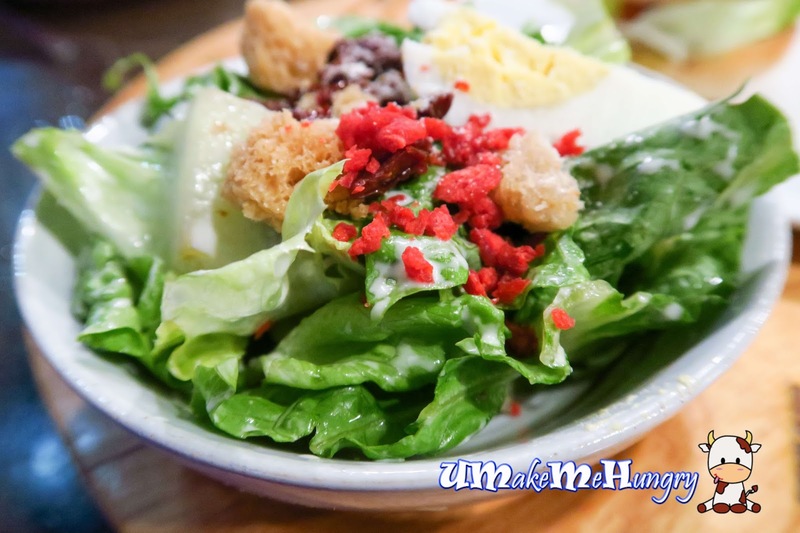 Overall, I like the concept as more choice are available apart from the usual Soup Spoon, however in terms of quality and standards, its quite of an average fare.